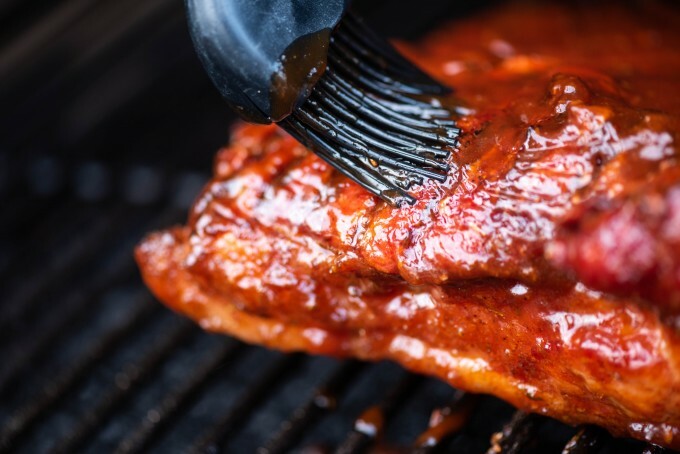 It’s time to fire up your smoker! 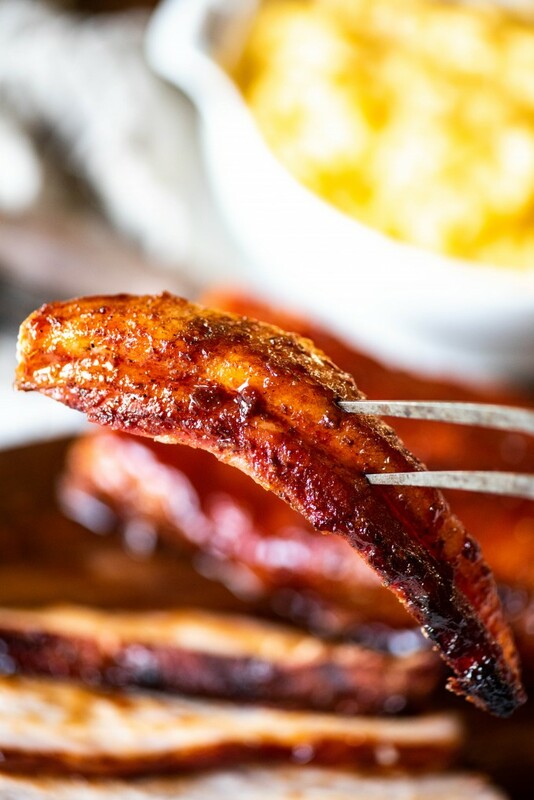 This BBQ Smoked Pork Belly recipe is full of delicious, smoky flavor that you will fall in love with! Do you have a smoker yet? I’m totally obsessed with mine. I’ve had my fair share of smoked meats, and when I finally got my smoker, I could not have been more excited! I only have a couple of recipes that I’ve perfected, and I have been dying to come up with more. So after racking my brain, this BBQ Smoked Pork Belly was born. Living in Ohio really only leaves half of the year to utilize my smoker. Sure I could brave the wind, cold and snow during the winter to fire it up, as it really doesn’t require a lot of hands on time like grilling; but I generally reserve my smoking for the warmer months. 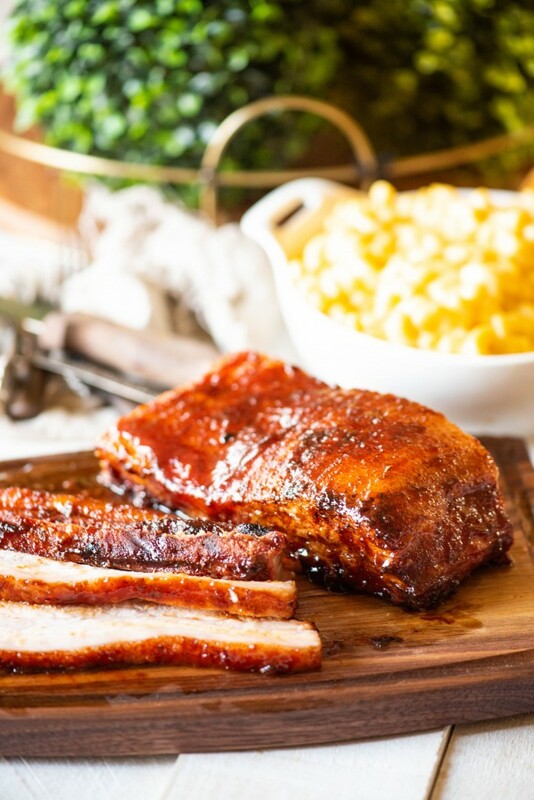 There’s just something about warm weather and picnics that calls for deliciously smoked meat. One of my favorite parts about smoking meat is how easy it is! You apply the rub and seasoning, and then let the smoker do all the work. For all of the incredible flavor you get, it really is such a simple process. And like I said before, it’s great for summer picnics. The kids can be swimming or playing in the backyard while the parents are sipping on something cold (like this Painkiller Drink– SO good!) all the while, your pork belly is smoking away. Little work for great reward. I like to serve my pork belly with something starchy. When we’re having it for dinner, I usually make mac and cheese. But if you’re cooking for a crowd for a summer picnic, potato or macaroni salad goes really well with it too! When your pork belly reaches an internal temp of 165°, it is ready to eat. But you can cook it until it reaches 200° for fall apart tender pork. This is where your patience comes in. 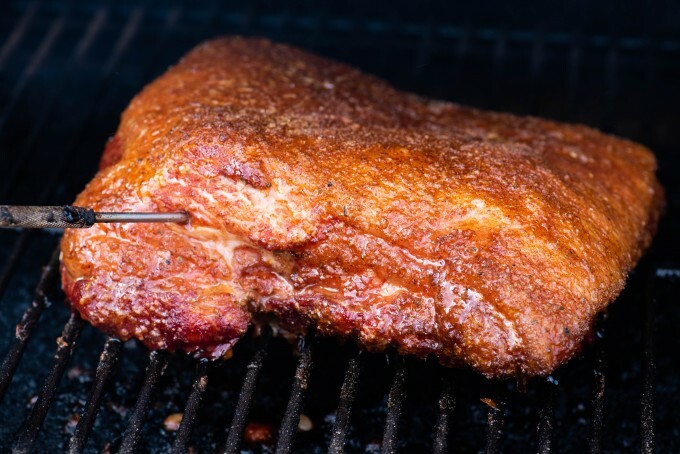 A smoker takes a lot of time, but the reward is well worth the wait. Think of how tender a pot roast is after slow cooking for 8 hours. Trim the pork belly- remove the skin from pork belly, if still attached. Trim the top fat cap to 1/4-1/2" thickness. Create the dry rub- in a small bowl, stir together the brown sugar, oregano, chili powder, paprika, salt, onion powder, garlic powder and cayenne. Rub the pork belly generously, top and bottom. Heat the smoker to 225F. Add the pork belly to the smoker, close the lid and cook for approximately 8 hours, until internal temperature reaches 190F. Increase the temperature to 450. Baste both sides with barbecue sauce and caramelize lightly for 10 minutes, turning once halfway through. Remove from smoker and rest for 10 minutes. Slice into strips approximately 1/2" thick and serve hot. This is a recipe we’ll make all summer long. Thanks for sharing! Oh my gosh! You cannot go wrong with this! 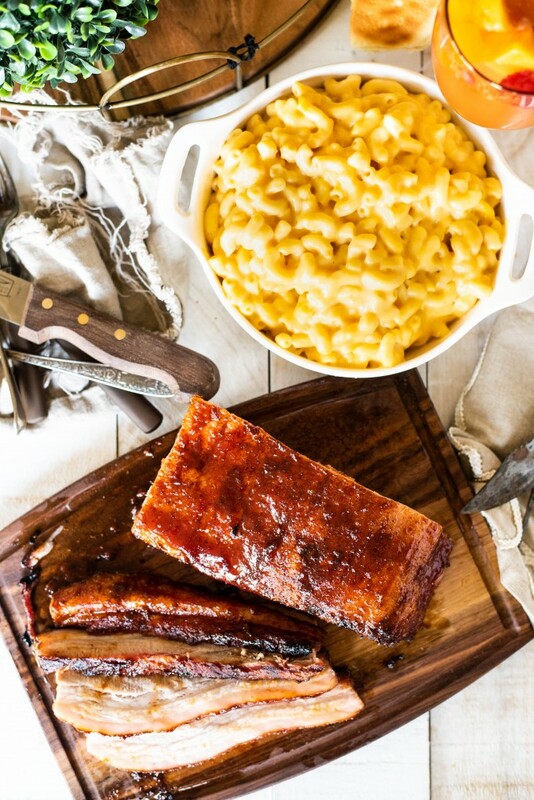 Smoked pork belly is one of my favorites!